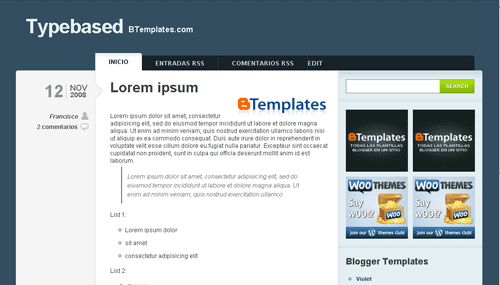 Typebased is a very clean and elegant blogger template. Typebased is originally a WordPress theme designe dby Woothemes and it is converted into blogger template by BTemplates. Color definitions from Blogger’s Dashboard.